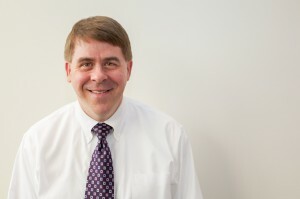 Prior to joining the firm in 1992, Mr. Regan worked for another Anchorage law firm for three years in both commercial law and litigation departments, where his practice emphasized transactional work, commercial litigation, insurance defense litigation, and estate planning and probate law. Upon joining Holmes Weddle & Barcott, Mr. Regan worked closely with Randy Weddle for several years representing Exxon Corporation in personal injury lawsuits arising out of the EXXON VALDEZ oil spill clean up. His maritime practice has also involved defense of claims under the Longshore and Harbor Workers’ Compensation Act. With degrees in both business and law, Mr. Regan has represented a diverse client base. He has considerable trial experience and has represented institutional clients and a variety of insurers and self-insured companies. His clients include Western National Insurance Group, Safeway, Umialik Insurance Company, Western Heritage Insurance Company, ARECA Insurance Exchange, and ACE American Insurance Company. He defends insureds and businesses in commercial litigation, professional liability matters (particularly mental health professionals), property damage, personal injury, maritime injury, premises liability, and insurance coverage issues. He also provides estate planning and probate services to the firm’s clients. Mr. Regan is a life-long Alaskan, whose family came to Juneau in the early 1930’s. Prior to practicing law, he served as both a state and congressional legislative assistant, and worked as a commercial fisherman. Mr. Regan is a member of the Alaska Bar Association (co-founder, Admiralty Law Section), member of the Maritime Law Association of the United States, and was the Executive Council Representative from Alaska and Hawaii to the Young Lawyers' Division of the American Bar Association. He has also served on the Alaska Supreme Court Standing Committee on Civil Rules.